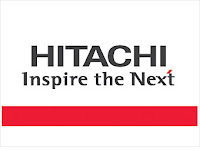 PT Hitachi Power Systems Indonesia - Hitachi offers products and total project solutions for its business partners in the fields of power generation and transmission equipment. With 100 years of experience in the electrical business, Hitachi sought to develop electrical power systems and environmentally conscious recycling efforts, beginning with our power generation systems. Power Systems Group also provides after-sales services such as maintenance and operation of products and systems for customers.